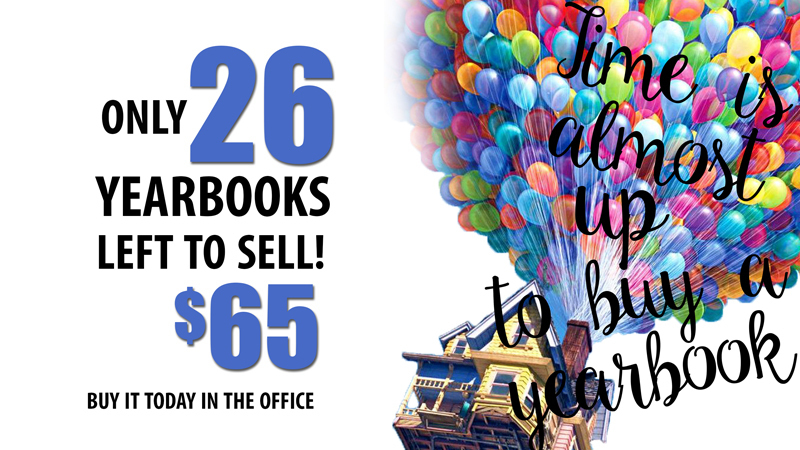 ONLY 26 YEARBOOKS LEFT TO SELL! More pages, more photos, more memories--that' what this year's CPHS Yearbook has for you, but only if you buy one! Purchase them in the Office for $65. Yearbooks will be distributed June 1 at the Signing Party held during Advisory.